Listen Archbishop John Nienstedt: "Serious mistakes have been made in the archdiocese's handling of abuse cases." In a reversal of decades-old policy, Archbishop John Nienstedt said he plans to release the names of some priests who have sexually abused children. The list will be limited to living priests who still reside in the Archdiocese of St. Paul and Minneapolis and who have been determined by the archdiocese to be guilty of abuse. Nienstedt did not say how many names would be released, and it's unclear if the list would include any priests not already known to the public through lawsuits and media reports. Nienstedt's decision comes in response to an MPR News investigation, which found that the archdiocese continues to protect a 74-year-old priest who admitted to sexually abusing children on the Rosebud Indian Reservation in South Dakota in the mid-1970s. The Rev. Clarence Vavra admitted to the abuse as part of a psychological evaluation in 1995, but Archbishops John Roach and Harry Flynn kept Vavra in ministry and did not contact police. Flynn asked Vavra to retire in 2003 - and gave him $650 a month in extra retirement payments. Vavra lives half a block from a middle school in New Prague, Minn. Prior to MPR News' report, he was not a known abuser. In a statement announcing his decision to release the priests' names, Nienstedt said, "Serious mistakes have been made in the archdiocese's handling of abuse cases. Offering expressions of regret and sorrow seems so inadequate in the context of the crimes of the offenders and our failures to deal with them properly. And yet, I must say how sorry I am. My heart is heavy for the victims of this repugnant abuse." The archdiocese will release some of the names this month. More names could be released after a private firm hired by the archdiocese reviews all clergy files. The archdiocese has not selected the firm, according to a spokeswoman. The watchdog website Bishop-Accountability.org, which tracks offending priests, lists eight Twin Cities priests who might fit the archdiocese's criteria: John Brown, Gilbert Gustafson, Dennis Kampa, Jerome Kern, Michael Stevens, Robert Thurner, Joseph Wajda and Curtis Wehmeyer. Several archdioceses, including those in Philadelphia and Boston, have released the names of accused priests in response to earlier scandals. Terence McKiernan, founder of Bishop-Accountability.org, has said the lists often contain few surprises, since so many names have already been made public. In June of 2002, U.S. bishops adopted a policy that said any priest found to have committed "even a single act of sexual abuse" against a minor should be permanently removed from ministry or dismissed from the priesthood entirely. The policy, known as the Charter for the Protection of Children and Young People, was created in response to the national clergy sexual abuse scandal. The priests who met the Charter's criteria for removal from ministry became known as Charter priests. 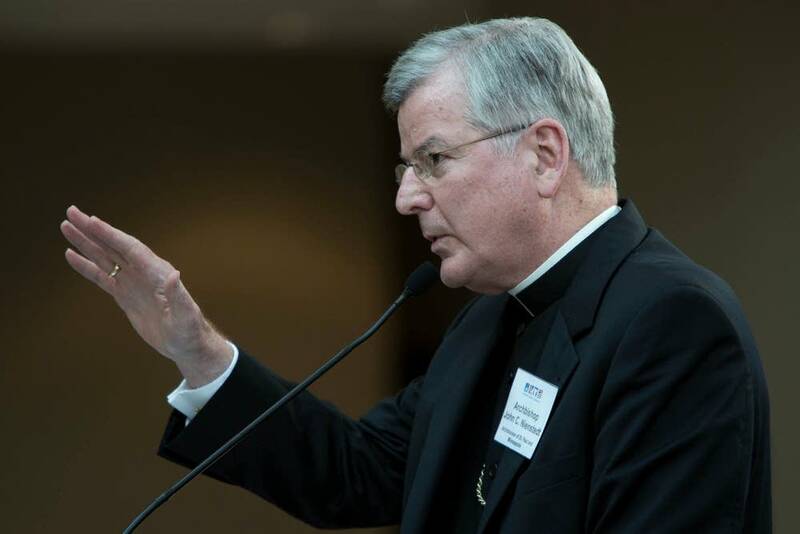 Nienstedt said that all of the Charter priests in the Twin Cities archdiocese "have been removed from ministry." The archdiocese will release the location and status of each named priest, Nienstedt said. However, the list will not include the names of every priest accused of child sexual abuse. In some cases, the archdiocese has investigated priests for alleged sexual abuse and deemed the claims against them not credible or unsubstantiated. Those priests are not considered Charter priests and would not be named by the archdiocese. They include the Rev. Michael Keating, who was sued last month for alleged sexual abuse of a teenage girl in the late 1990s. An archdiocese board in 2007 found "insufficient evidence to support a finding of sexual abuse of a minor in violation of the Charter." St. Paul attorney Jeff Anderson, who's represented thousands of victims of clergy sexual abuse across the country, has asked the archdiocese for years to release the names of offending priests. Anderson often refers in news conferences to the list of 33 priests that he received from the archdiocese as part of a lawsuit in 2009. The list, which named priests against whom there were credible allegations of sexual abuse of minors, was sealed by a judge and cannot be released without a court order. At a hearing in Ramsey County on Oct. 3, Anderson asked Judge John Van de North to unseal the list. "Until we know who the credibly accused offenders are and where they are ... the peril exists," he said. The list of 33 priests is likely much longer than the one the archdiocese plans to release. The earlier list includes the names of priests who are deceased or falsely accused, according to church attorneys who've aggressively fought to keep those names private. Nienstedt and other church leaders have argued that releasing the list of 33 priests wouldn't be fair to priests who have been falsely accused. "It would be wrong to publicize their names as offenders when they have not been proven to be offenders," Nienstedt said in a statement last month. "Clergy members should be given the same rights as other citizens." Other church leaders have previously sought to downplay the importance of any list of abusive priests. Former top church official Rev. Kevin McDonough told MPR News last year that releasing a list wouldn't appease critics because some would question whether it was accurate. "The list-making and publication that's happened in some places has not resolved the trustworthiness questions," McDonough said. "If it becomes an issue of trust with people whom we don't think are just running a marketing campaign, I think you'd see us change in a heartbeat."